Today we celebrate the legacy of Dr. Martin Luther King and many across the USA paused to remember the great civil rights leader with parades, marches and community service projects. 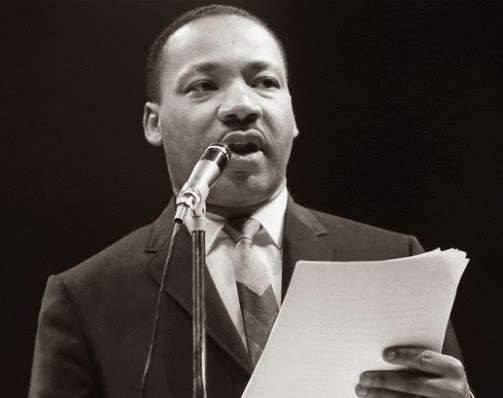 Dr. King was born Jan. 15, 1929, and the federal holiday is commemorated on the third Monday in January. At Ebenezer Baptist Church, where King was pastor, a church service will be held. In Ann Arbor, Mich., activist and entertainer Harry Belafonte planned to deliver the keynote address for the 28th annual Rev. Martin Luther King Jr. Symposium on Monday morning at the University of Michigan's Hill Auditorium. And in Memphis, Tenn., the place where Dr. King was assassinated, an audio recording of an interview with King would be played at the National Civil Rights Museum. The recording sheds new light on a phone call President John F. Kennedy made to King's wife, Coretta Scott King more than 50 years ago. Historians generally agree Kennedy's phone call to Coretta Scott King expressing concern over her husband's arrest in October 1960 — and Robert Kennedy's work behind the scenes to get King released — helped JFK win the White House. Thank you Dr. Martin Luther King, Jr., your dreams, words, and actions remain as inspiring today as they were 50 years ago today.